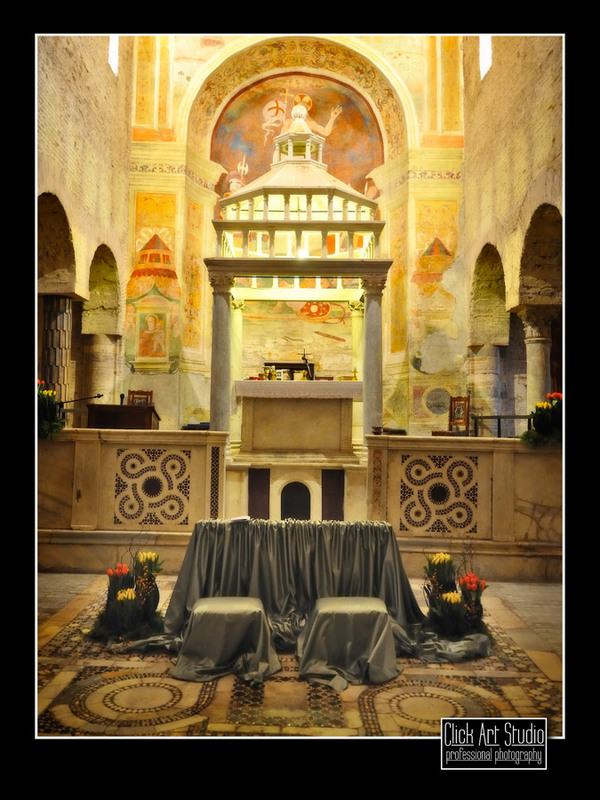 The Romanesque-style church, built in the sixth century AD, welcomes the bride and groom in an intimate and sacred ambience that comes from a simple architecture well combined with polychrome mosaics and frescoes. Our pastor will guide you in preparing the necessary certificates, in the choice of songs and readings, and will take care of the vestments, even if the ceremony will be performed by a pastor of your confidence. A simple and elegant floral arrangement will make it even more welcoming and exciting entry of the spouses in the sacred temple.